At an event in New Delhi on Monday LG launched the V20 flagship smartphone in India. The phone is priced at Rs. 54,999. The V20 will exclusively go on sale via Amazon India online store and other retails stores as well. The LG V20 come with a full AL6013 metal body which is MIL-STD-810G rated for shock (516.6). The smartphone also uses a shock-absorbing material Si-PC that protects the top and bottom edges of V20 and also compliant with the US military standard test. The LG V20 runs Android Nougat 7.0 out of the box and the company says that it will perform better that the LG G5. “The much-awaited V20 will set new standards in the smartphone segment, especially audio and video experience,” Amit Gujral, Marketing Head of LG Mobiles India, said. The LG V20 sports a 5.7-inch QHD (1440×2560 pixels) IPS Quantum Display, As the main highlight of the smartphone it also features a secondary display above the main screen to access the shortcuts icons. The smartphone is powered by a Qualcomm Snapdragon 820 SoC coupled with 4GB of RAM. On the camera front, LG V20 sports a 16-megapixel primary rear camera (f/1.8 aperture) and an 8-megapixel secondary rear camera (f/2.4 aperture) as well. LG V20 also has a 5-megapixel sensor on the front with a 120-degree wide-angle lens and an f/1.9 aperture. The LG V20 houses a 3200mAh battery. The smartphone measures 159.70×78.10×7.60mm, and weighs 174 grams. Sensors on board include an accelerometer, ambient light sensor, magnetometer, proximity sensor, and gyroscope. Connectivity options on the LG V20 include 4G LTE (with support for Indian LTE bands), Wi-Fi, GPS, Bluetooth, NFC, Infrared, and USB OTG. The LG V20 comes bundled with a free B&O PLAY headset worth Rs. 18,000. The company also giving an exchange offer where you can exchange your old smartphone for a new LG V20 and get a “minimum assured Rs. 20,000 off” but remember, this offer will be available only select smartphones only. The company will also be bundling a free SF coated back cover. The LG V20 also features a 32-bit Hi-Fi Quad DAC, HD Audio Recorder, and B&O PLAY speakers. 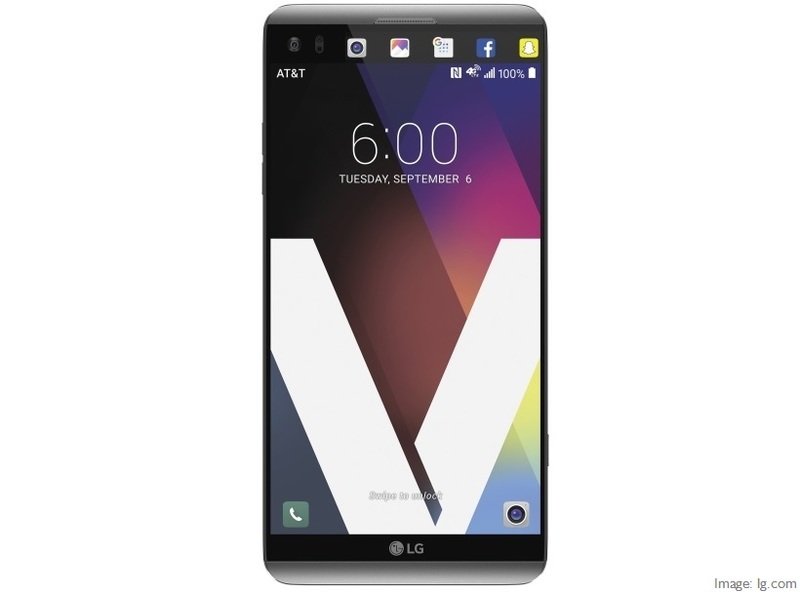 Let us know your thoughts about the new LG V20 smartphone, are you going to buy this?.